Round 1: Nankervis from the throw in Toby Nankervis scores his first goal in the yellow and black. 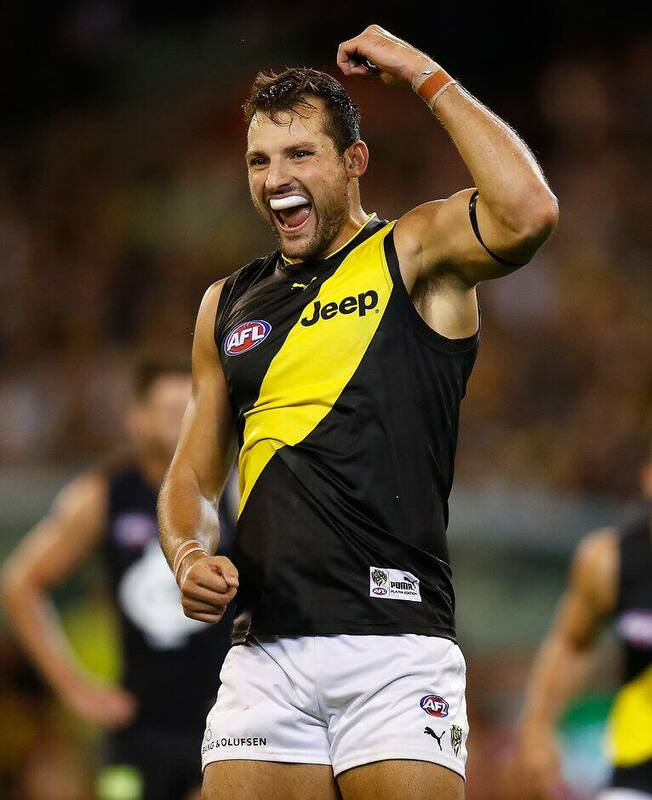 Robust Richmond ruck recruit Toby Nankervis had an instant impact on debut with the Tigers in Thursday night’s season-opener against Carlton at the MCG. Nankervis, who arrived at Punt Road at the end of last season via a trade from Sydney, grabbed the ball from a forward pocket throw-in early in the opening quarter and steered it through the big sticks for a team-lifting goal. “I don’t know how it went through . . . just slammed it on the boot and got a bit lucky. It was a nice way to start,” Nankervis told 3AW post-game. The 22-year-old went on to be a valuable contributor over the course of the match for his new club. He finished with eight disposals, three marks, three tackles, 27 hit-outs and two goals all-up. Although his direct opponent, Matthew Kreuzer, was one of Carlton’s best players on the night, Nankervis showed why he’s well and truly up to the challenge of holding down Richmond’s No. 1 ruck role, despite his relative inexperience at the game’s highest level. After managing just 12 games in three years with the Swans, Nankervis admitted he was thriving with the extra responsibility placed on his broad shoulders at Tigerland. “It’s definitely where I like playing . . . in the ruck,” Nankervis said. “It was frustrating at times last year being in and out of the team (Sydney) and playing a lot of reserves footy.